A unique bangle kit for a striking and unusual project from Geometric Beadwork Volume 2. 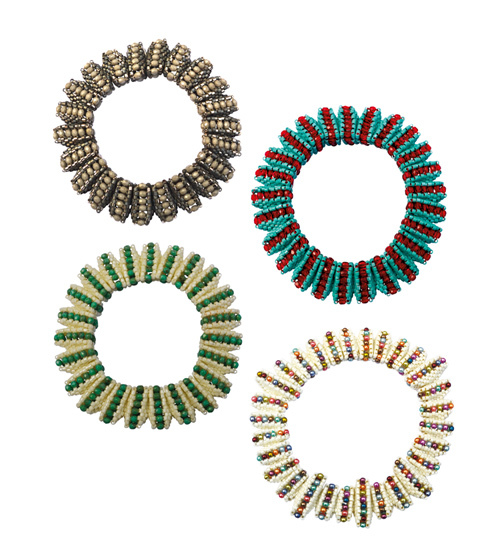 This bangle (or bangles), uses geometric beading techniques combined with the feature beads of your choice. 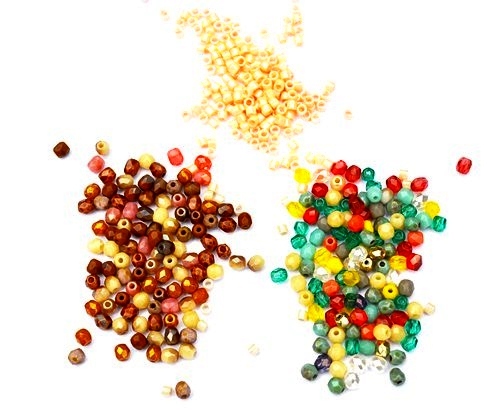 Each kit uses the same colour Delica bead so they can be mixed and matched. 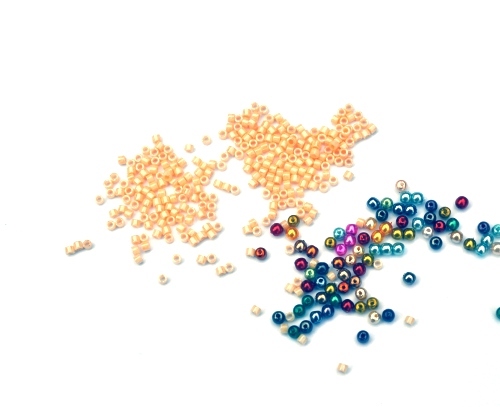 To bead this kit you need to know peyote stitch and be comfortable following instructions. The price of the kit includes postage worldwide.